A YOUTH organisation that allowed teenagers to run out of control has been expelled from a Dalston club after revelations by Loving Dalston. 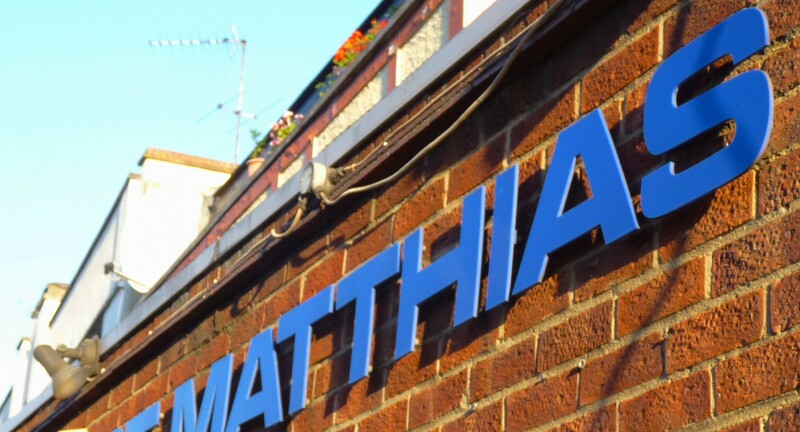 After he was contacted by this site about the latest episode, on Halloween Eve, Mohammed Alam, who runs St Matthias’s, responded quickly that he was expelling Linked up, which had been hiring the venue. 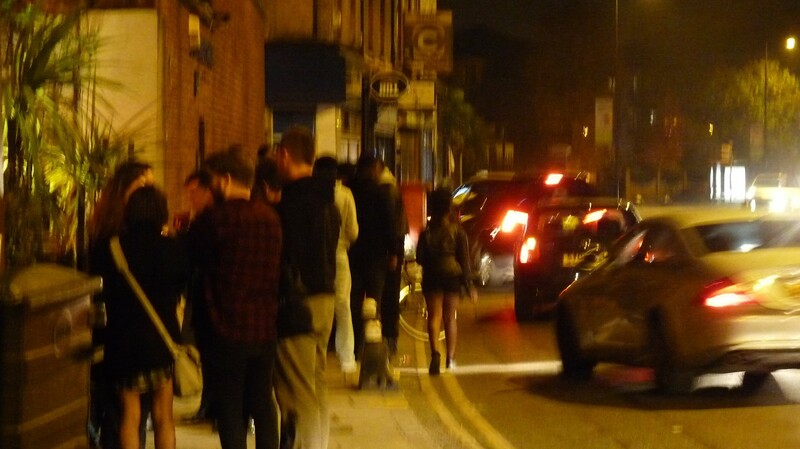 As clubgoers queued, they chatted excitedly two or three abreast, occasionally refusing to budge for would-be passers-by, which forced them dangerously into the road, as the picture of the young woman walking into the busy road shows. When the session ended, at the usual time of 10.30pm, on Saturday 31 October 2015, groups of teenage boys and girls ran into Cecilia Road, spreading into adjacent streets. Few were drinking alcohol and the girls were just chatting, mostly on the pavements. Some boys lit crackers under parked cars. 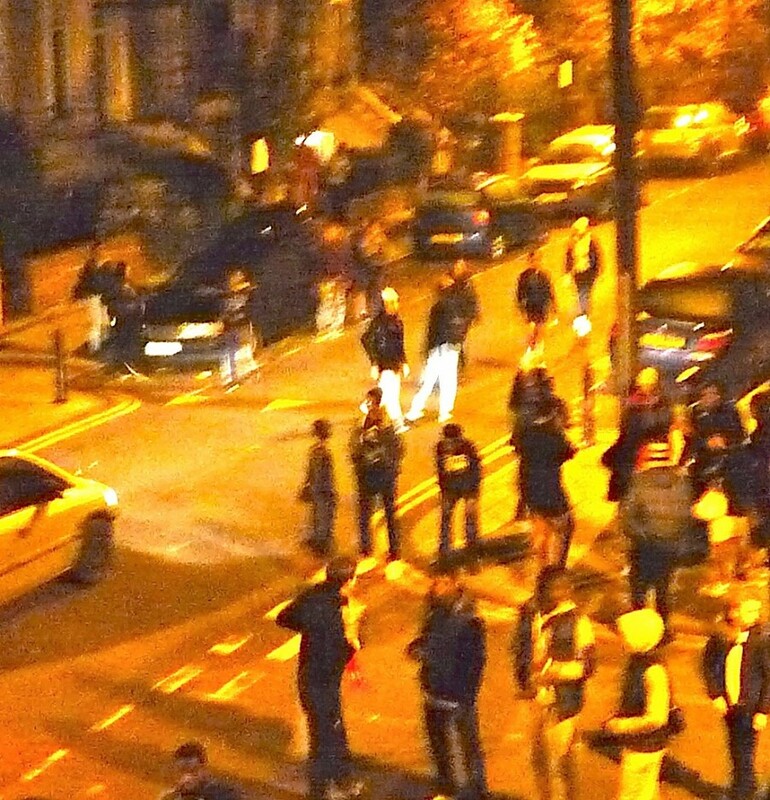 Police told Loving Dalston that calls were made to the 101 service and that Hackney council sent an observational crew. It took almost 90 minutes for police to clear the teenagers from the streets. 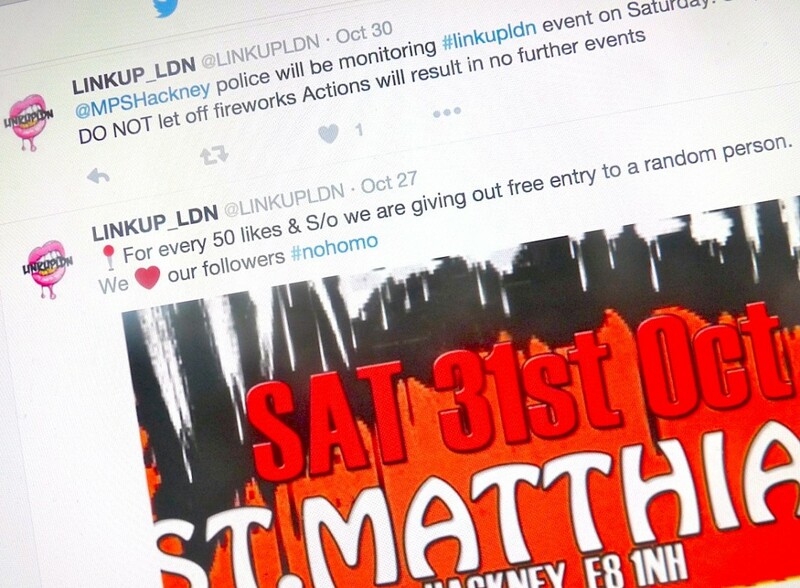 A 30 October 2015 @LINKUPLDN tweet said: “@MPSHackney police will be monitoring #linkupldn event on Saturday. So plz DO NOT let off fireworks Actions will result in no further events”. A discriminatory tweet, right, including the hashtag #nohomo, was also posted. * All pictures on this page can be visually enlarged by pressing on them. Reproduction by sale or agreement.